Content Objective: I will be able to engage effectively in a collaborative discussion by posing and responding to questions after viewing a short film and completing the Exit Slip. Language Objective: I will use the question stems from different Depths of Knowledge to create a variety of questions. Homework: Write about a time when you struggled to overcome a challenge in your life. 5+ sentences. THINK - Look at the Depth of Knowledge question stems at your table. What are the differences between the types of questions at different levels? Step 2: "The Butterfly Circus"
Click here to see a photo. Without talking to your table, use the DOK question stems to create at least three questions. Try to use a different DOK level for each question. First, share your three questions with your table. Next, decide as a table which three questions are the best. Finally, check if any of your group's top three questions can be answered with "yes" or "no" or if they will not be helpful to a class discussion. If so, revise the question until they will create more discussion. As a class, let's choose which three questions will be best to discuss. ​Does Will demonstrate grit? Why or why not? In a well-written paragraph, explain why it was difficult for Will to demonstrate grit for most of the movie. 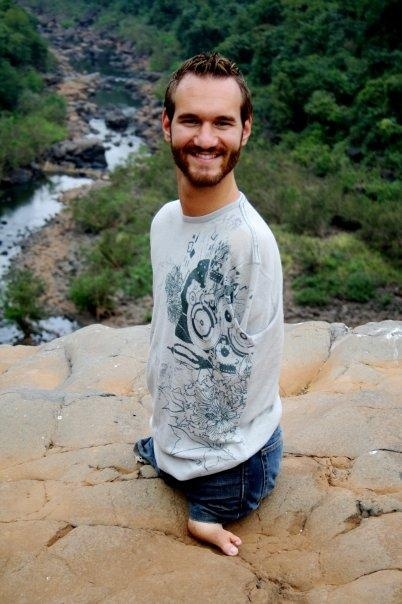 If you have time and would like to know more about Nick Vujicic (Will), click here to see a video about his career as a motivational speaker.